Intensive ABA Therapy is covered by most major insurance providers. Request a consultation to discuss if our program is right for you and your family. A preschool and kindergarten curriculum that creates a social emotional learning program. Certified ABA Therapists use preschool learning activities to teach kids social skills. ABA Counselors tailor the curriculum and lesson plan for each students' needs. Following a preschool and kindergarten classroom schedule, children engage in learning games and activities. Kids take part in an emotional learning program developed by dedicated clinicians and educators. Homebound and homeschooled children can reach their social and academic potential at AFC. When behaviors interfere with learning, school-age kids can become homebound or homeschooled. AFC's day program will work to reduce those behaviors that are keeping your child at home. The structured curriculum will ensure your child continues to build academic and social skills. All center based programs have a 1:1 Ratio. Each day, staff assess which planned activities the students will benefit most from. Trained ABA Counselors use a preschool curriculum to increase social, emotional, and academic skills and reduce behaviors that inhibit learning. Derived from the concepts of Applied Behavior Analysis and the Common Core, AFC's Day Program supports children who may not be ready to attend a traditional classroom. All children have the potential to excel. But, the structure of a classroom environment often evokes distractions and anxiety. Stressors are associated with: routine-following and attending to the instructions in a group setting. Many also need more support with transitions to structured activities. The program is set up like a typical classroom. Counselors work with each child individually as well as in a group of appropriate peers. All children will complete the prerequisite steps to be Learner Ready. The outcome is a child who is ready to enter an academic environment without supports. Intensive ABA Therapy works on functional communication including vocal communication. The goal is for all children to effectively speak up for their needs and engage in meaningful conversation. ABA Counselors lead social skills games for kids to facilitate the development of true, meaningful friendships. The program follows a typical curriculum for preschool and kindergarten. However, lesson plans are uniquely tailored to meet the individual needs of each students. This is made possible by AFC's one-to-one staff to student ratio. ABA Therapists break down academic skills into smaller attainable steps and teach with errorless learning. The program walks children through the preschool schedule they can expect to see when they enter the classroom. AFC's counselors work to teach children how to transition from activity to activity. Kids practice engaging in non preferred activities while also waiting for their favorite activities to start. Kids leave the program ready to enter the classroom without supports. Like a preschool schedule, children are welcome to join us for either full or half days. Flexible start and end times are also available. 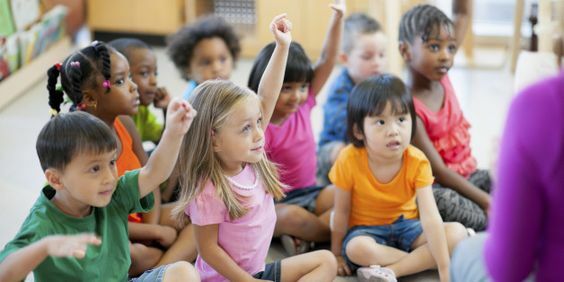 Huffington Post: Read Autism Family Center's articles on topics like: Kindergarten expectations, Preschool Benchmarks and Performance Descriptors, and center based services for early learners. The Benchmark: Identify emotions from facial expressions and body language. Teaching from a Behavior Analytic standpoint is different than traditional approaches to education. Indeed, the entire point is to teach children who need a unique approach. Often, adults have lowered expectations for children who have a Developmental Delay - such as Autistic Disorder. And yet, children on the autism spectrum are often very capable of learning any skill that we expect a neurotypical child to learn. All the child needs is a dedicated professional, who understands the variety of approaches in education. A couple of weeks ago, our organization wrote an article about the Preschool Benchmarks outlined by the Illinois State Board of Education. Today we want to review how Behavior Analysts might approach each of these benchmarks. 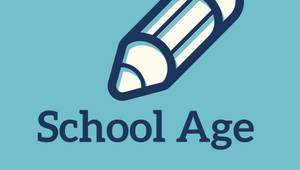 Entering Preschool and Kindergarten is an important step in your child’s life as they begin their academic journey. 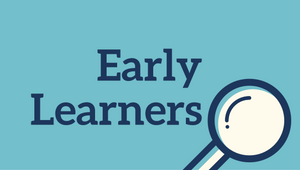 The adults in a child’s life - their caregivers, their teachers, and their health providers - are responsible for working together to ensure each child is prepared to explore academic advancement. But how exactly do we measure achievement for children at this age? How do we know when a child needs additional attending? The Illinois State Board of Education (ISBE) measures academic achievement based on Learning Standards, Benchmarks, and Performance Descriptors (Levels). It is extremely important to note that not all children are going to fall into the categories or examples listed below. Children develop at their own paces and illustrate development in different ways. That is why it is so important for schools, parents, and providers to work together to ensure each child is given the opportunity to advance given their own specific qualities and interests. Please list 2-3 goals you have for your child that you hope to accomplish from this program. Please select a schedule preference. Please select your insurance carrier below. AFC will help to determine if our program is covered by your plan. CONFIDENTIALITY NOTICE: Please note limits of confidentiality when submitting personal information electronically. If you are uncomfortable submitting your personal identifiable information through our website, please call our office at (312) 635-8989 or email our Chicago team directly at Chicagoland@autismtherapies.com and someone will reach back out to you. Thank you!